The car’s packed up, the sunglasses are on and the coffee is in hand…your spring break journey has begun! And forget about those folks who are soaring miles in the sky on their way to some tropical destination, right? Saltwater is overrated. 😉 With the extra time and cash you’re saving by taking a local spring break trip, you’re going to have a blast! We already know you’ll want to see the beach and the state park, along with our beautiful lighthouse. And we can’t wait to see you here in Grand Haven, Michigan! So, to thank you for visiting our beautiful city, we’re about to drop some inside GH knowledge on you with 10 super fun things to do on your spring break! Just don’t take a dip in the lake…not yet, anyway. From wigwams to shipwrecks, the Tri-Cities Historical Museum has some fascinating local history for you to explore with your family–and admission is FREE! Once you see how neat the museum is, though, you’ll be glad to donate a few dollars. Open Tuesday-Sunday, this local treasure is perfect for rainy days or when you’re looking for something a little relaxing! Newly re-designed in 2018 and just recently reopened, this amazing and inclusive playground has a little something for everyone! With accessible play areas for all, your kiddos can really burn off some energy and spark their imaginations. It’s one of our most favorite fun things to do with kids in Grand Haven, and it’s completely free! There’s a reason why everyone raves about OddSide Ale’s beers. With their expert brewing, consistent flavors and amazing selection, Odd Side has always been a Grand Haven staple for tasty beer. Just recently, they’ve expanded, so you can count on more table space, delicious eats from The Toasted Pickle and also, tasty coffee from The Side Bar coffee that has recently merged with the building. We recommend looking at the tap list ahead of time…it’s going to be hard to choose. 😉 PS–they’ve got tasty, handcrafted rootbeer for the kids or anyone who’d prefer something non-alcoholic! 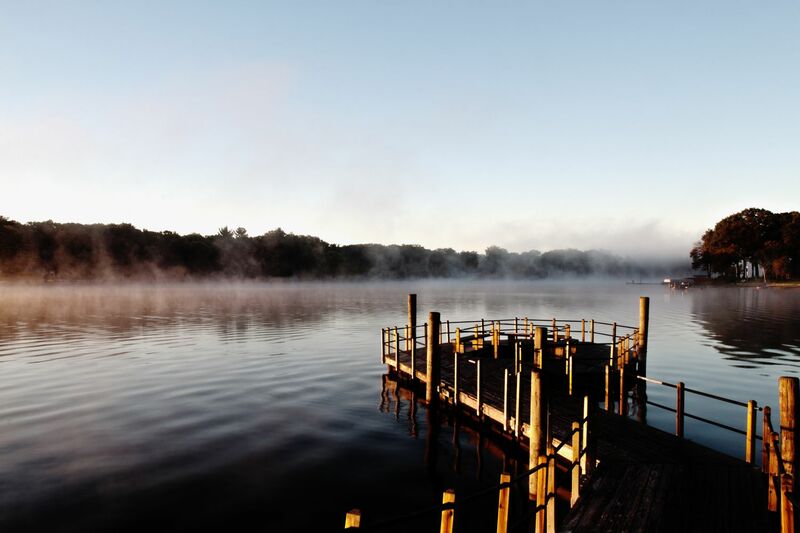 If you’ve got a few moments to spare, take a cruise down Lakeshore Drive and enjoy the winding hills and sneak peeks of the lake. There are fun things to do at the beginning and the end of this journey, and our fun stop #1 is along the way! From simple tacos to complex, farm-to-table vegan options, Righteous Cuisine is a delicious, laid-back stop on your Grand Haven tour! You can find them at their main location a few blocks from downtown on 7th street, but they also have a storefront at Grand Armory Brewing! To make it an even HARDER decision for you, at each location there are different and exclusive menu items and sauces, like the Alabama White Sauce at Grand Armory, which is basically everything dreams are made of. We’ve got plenty of unsalted, Lake Michigan wind for you to set sail with, and MACkite has the awesome kites! But even if you’re not looking to fly a kite just yet, the kids will enjoy checking out all of the awesome, high-quality toys and playing with floor models in the downtown shop, which is walking distance from so many other fun things we’ve mentioned. We’ve got beaches, and ponds, bridges and lighthouses–but man, do we ever have bayous, too! There’s East Grand River Park, Connor’s Bayou and Pottawattomie Park, all of which have incredible beauty, playgrounds and more. Whether you’re bird watching or just enjoying a quiet sunset, it’s a break from the hustle and bustle for sure. Take home a “Blueberry Besteller” or another perfect and delicious gift with Blueberry Haven! West Michigan’s beloved blueberry is one of our local treasures, and every Blueberry Haven product is packed with its delicious scent or taste. From beautiful gifts for the cook who entertains at home to tasty and fun snacks for the whole family, you’ve got to bring home a piece of Grand Haven with some goodies from our store. Mention this blog and receive 20% off your purchase of $50 or more in-store! Did you have a blast on your trip to Grand Haven? Comment below and tell as all about your favorite part! And don’t forget to grab a visitor’s guide next time. 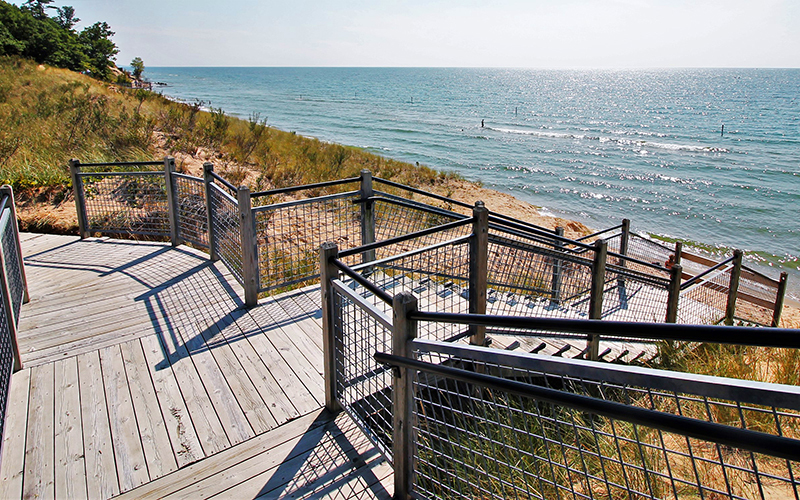 You’ll have even more of a roadmap for fun and shopping here in Grand Haven! Need help shopping for someone? Drop us a line below! Previous Post Live Longer by Simply Eating Blueberries–3 Reasons Why Blueberries are THE BEST Food! Next Post Think Easter and Receive Complimentary Yogurt Covered Pretzels!